5x37x4 18. Astro-Pleat MERV 8 DATA Center Replacement Filter | Air Filters, Inc.
Air Filters, Inc.™ Astro-Pleat™ MERV 8 pleated air filter specifically designed for data center thermal management systems utilizes electrostatically charged, 100% synthetic media which offers significantly higher particulate efficiency than regular poly/cotton media pleated filters, with little change in static pressure. These filters are designed to last up to 3 months. 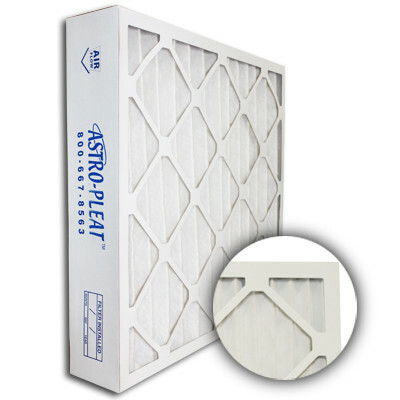 Air Filters, Inc.™ Astro-Pleat™ MERV 8 seasonal 2-Inch pleated air filters effectively reduce/remove pollen, dust, pet dander and dust mites for circulated indoor air. 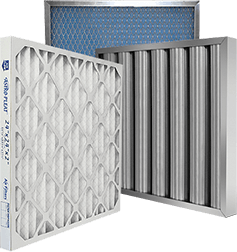 Filtering these airborne particles can help extending the life of your Air Conditioning / Furnace system by allowing the system to work more efficiently and economically. Air Filters, Inc.™ Astro-Pleat™ MERV 8 seasonal 2-Inch pleated air filters use the optimum blend of synthetic fibers to insure high dust holding capacity and filtering efficiency. * MERV 8 seasonal pleated air filters contain 9 pleats per linear foot which creates a greater surface area to catch airborne particles.